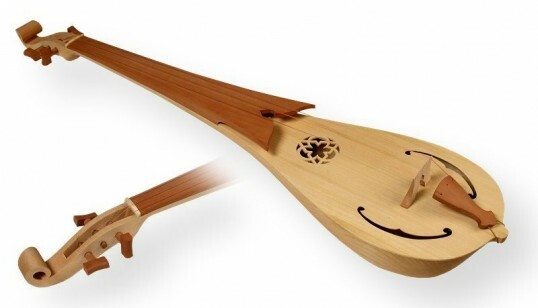 The rebec originated in Arab countries, as did many other European medieval instruments, and had already found its way to its new home by the 10th century. Rebecs were usually carved out of a single piece of wood and their size ranged from tiny sopranos to large basses. 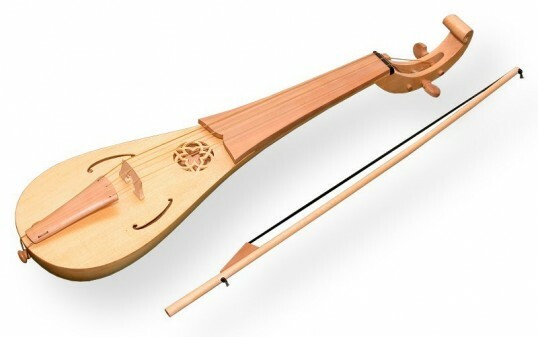 The instrument has nasal sound quality and it was mostly used in secular music. Depending on the size of the instrument, its price ranges from 320 to 1500 €.